My winter layering fun is coming to an end(I think). Some of you have noticed that I can't seem to make up my mind about the weather. One day, I'm excited about wearing a big, chunky, cozy sweater and the next, I'm posting bright colors and shouting, bring on spring! This is why I love fashion so much. It's never the same, constantly changing, just like my mind. I was recently asked to define my style, and I really had to think about it because, believe it or not, I have never been asked that question before. I have style, but not a particular style. It really all depends on the mood I'm in when I get up in the morning. I could be in a preppy denim shirt and sweater look, or fur vest with leather pants mood. Don't get me wrong, I do put some thought into what I'm wearing, in fact, I never stop thinking about it. Is that a bad thing? I am an extremely visual person, so whether it's an outfit or home decor inspiration, I always have my eyes peeled for something unique that I can incorporate into my life somehow. We all have a style that is very unique to our own personality. How would you define your style? 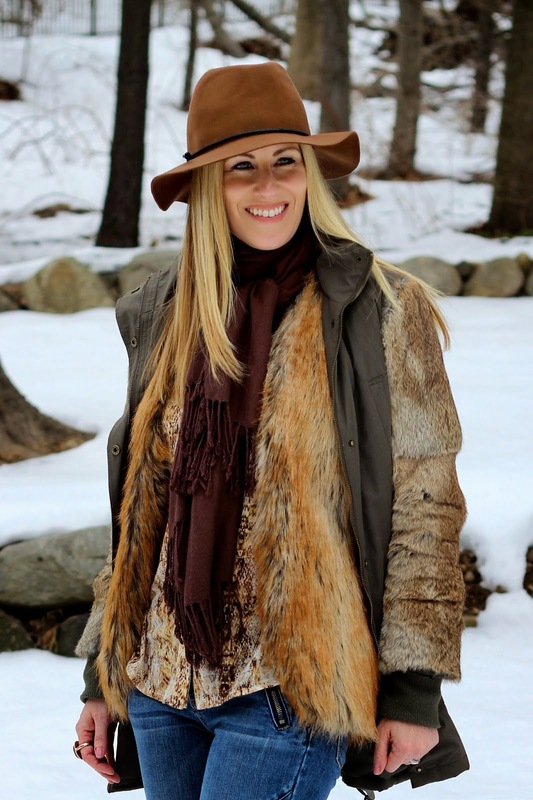 Coat~Bloomingdale's( on sale)~similar here/Vest~Fabulous Furs/Mango top(nla)~J.C. 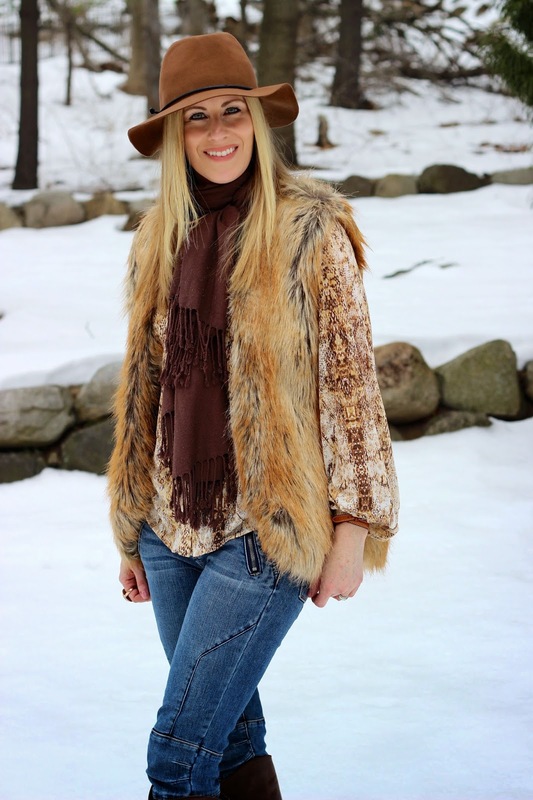 Penny~similar here and here/Jeans~American Eagle~similar here/BCBG boots~Trudie's Treasures Consignment shop~similar here/Hat~Target~here/Bracelet~Savvy Chic Consignment Boutique~similar here. Happy Monday and Happy St. Patty's Day!